This January, the JOANN Fabric and Craft Stores team challenged us to help keep resolutions. I had resolved to try to make more- more crafts, more treats- and more special moments with my kids. One of the things my kids absolutely love is fun little “mini-parties” – times in the afternoon I surprise them with a fun treat, and themed activities. 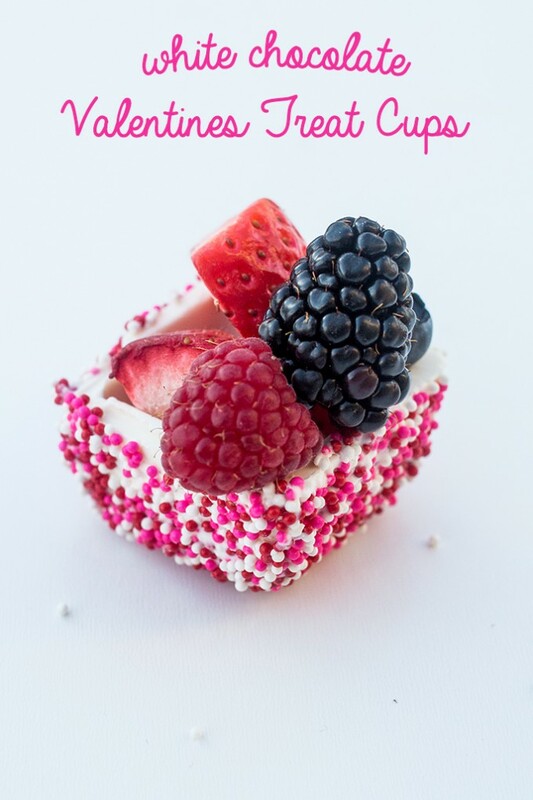 With Valentine’s Day coming up, I threw them a little Valentine’s afternoon mini-party where we colored hearts and made cards, as well as snacked on these adorable White Chocolate Valentine’s Treat Cups. It was a fun afternoon- and these cups were a huge hit! My kids gobbled them up- even my son who isn’t a huge fan of fruit. 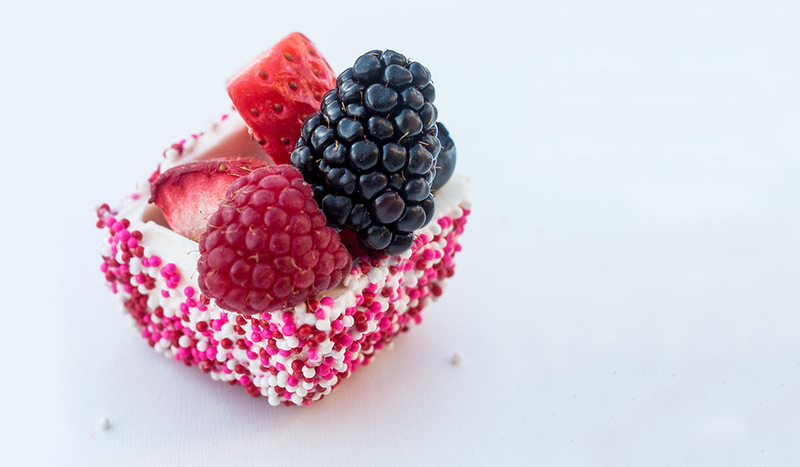 Isn’t it funny how some sprinkles make everything more appealing? These treat cups are, of course, fabulous for any occasion- but I was really excited to use some pink, red and white sprinkles I found in the gorgeous Valentine’s Day section from JOANN. I love how they turned out- and can’t wait t show you just how easy they were to make. First off, you need to melt your candy melts. While it might seem like a bit of an extraordinary purchase, I highly recommend a Chocolate melting pot if you use melted candy melts or chocolate regularly- especially if you like white chocolate. White chocolate can be temperamental- but I never have issues melting it in a melting pot. It comes with melt and warm temperatures, and has never burned my chocolate (even after forgetting about it for hours once accidentally). 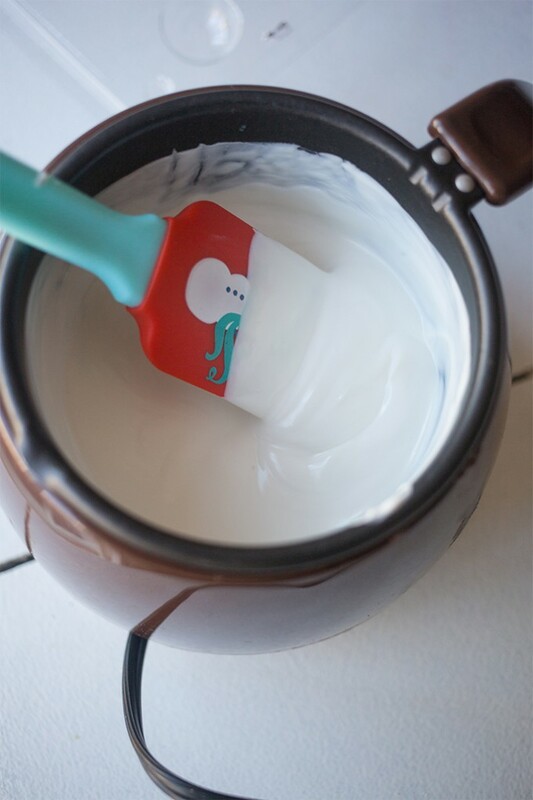 It is my absolute favorite purchase ever for people who use candy melts a lot! It took about 10 minutes on melt to get my candy the right consistency. If you don’t have a melting pot, you can melt your candy melts in the microwave or by using a double boiler method. Be sure to follow package instructions. Make sure your candy cavities are very clean. I also spray them with a little cake release spray just to be sure the candy lifts off a little bit easier. Pour two heaping spoonfuls of chocolate into the cavity. Add chocolate to the other 5 cavities, and then press together. Refrigerate for an hour, or let sit in a cool place until set. I personally think refrigeration works the best. Carefully remove cups from the tray by sliding a thin knife along the sides- they should pop out after running a knife along a side or two. Don’t pull hard- they do shatter! Rub a thin layer of melted chocolate onto the sides of the cups (I used an offset spatula to do this but a knife or even the back of a spoon work too). You want this layer to be very thin- think of it as a little glue to hold sprinkles. Too much, and it will get goopy and drip off the cups. 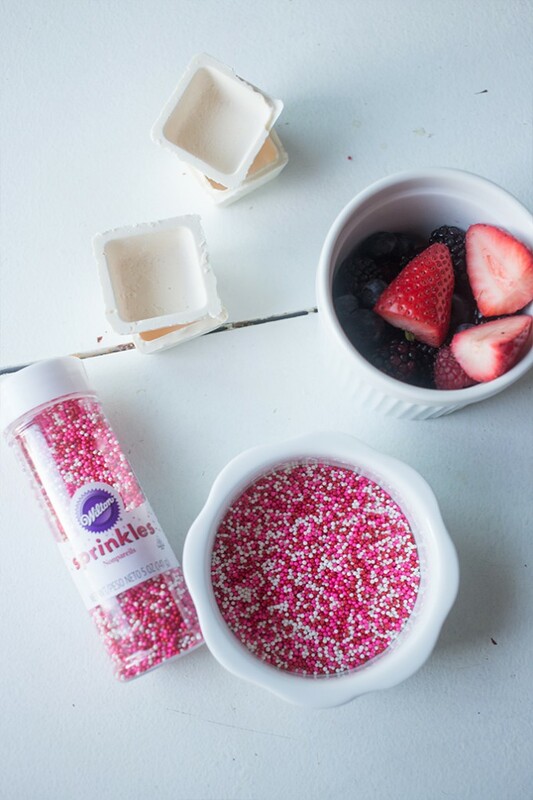 Hold the cup by pressing against the inside of it, and dip into a bowl full of sprinkles. Make sure the sprinkles go all over your melted chocolate on the outside of the cup! Let set for about 30 minutes in a cool place, or 10 minutes in the refrigerator. 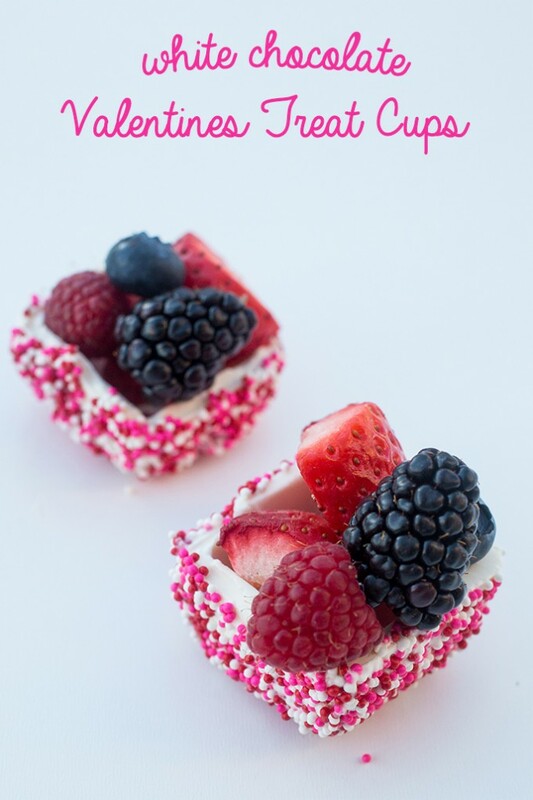 Add fruit, whipped cream, mousse or another treat into cup and serve! These little cups are perfect for parties or as a little treat at the end of a big meal. They are so much fun, and so easy to make! Your kids can help out, but I recommend waiting until they are a little older as the chocolate can get hot. My kids just liked watching me dip the cups in the sprinkles- and taste testing, of course.